Henna or red Henna as is commonly know is Lawsonia Inermis and the only real Henna ever. It comes in a green powder that smells like hay and it is from the leaves of a henna plant. 100% henna is a natural hair dye and conditioner that has been used by many cultures for many years. The leaves of the henna plant have a red-orange dye molecule, Lawsone, That will stain the skin, cloth and light hair. Here are some of the benefits of using 100% henna on the hair. 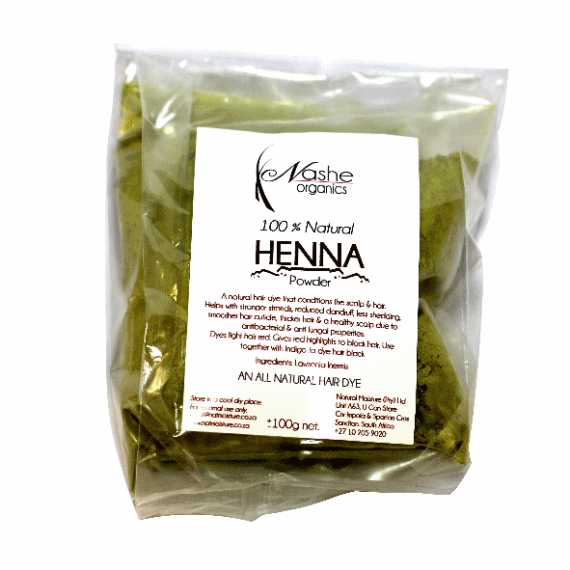 Applying henna pack twice a month makes hair glossy, healthy and voluminous. It repairs the damaged hair strands and restores the acid-alkaline balance of the scalp. It is an amazing conditioner for hair that protects the hair strands by building a protective layer around each strand. It is the best and safest way to colour your hair that has no ammonia, chemicals, and toxins. Helps to reduce or eliminates dandruff and a dry itchy scalp. Using Henna as a hair dye. 100% Henna dyes hair red to orange depending on the initial hair colour you are starting with. For lighter hair, the colour is well pronounced but for darker hair, brown and black hair, it may give a burgundy colour to simply some red highlights respectively. Henna does not colour naturally textured black hair red but will give the hair some reddish highlights which are more visible in the sunlight. Henna must be used before Indigo when colouring hair a dark brown to black also depending on the hair colour you’re starting with. There are many recipes out there on how to mix Henna to colour your hair. I will however list one here which is specific for colouring hair. A bowl big enough for your mixed Henna. A cereal bowl should be big enough. Warm water to help the Henna to release the dye faster and more effectively. You can brew some green tea and let the water cool a bit and use that instead of warm water. Place the henna powder in the bowl. Add your preferred base liquid bit by bit and mix into a smooth consistency like yogurt. Add the acidic liquid and mix again. Cover top of bowl with plastic wrap and leave for 12 to 24 hours to allow the dye to release. Add the other ingredients to the paste and it is ready for use. Make sure your working area and your clothes are protected because Henna stains everything it gets in contact with except oil. Apply Henna paste to the hair including the scalp because henna is also a good scalp conditioner. Leave it on your hair for 6 or more hours then rinse out with warm water. Shampoo hair as normal or co-wash until the water runs clear. Using Henna and Indigo to dye hair black. Using Henna to condition hair. Henna is a good hair and scalp conditioner and can be used to make hair smooth, strong, shiny and give you a healthier scalp without causing a colour change.This is sometimes called a Henna rinse. Mix Henna powder with water. Does not need to be hot because we don’t need the dye to activate. Add all the other things you would like to add. Have fun with lot’s of recipes available. Apply Henna paste immediately onto your scalp and hair. Leave Henna on your hair for about 30 minutes then rinse it out as usual. Henna is a natural hair dye and adverse reactions to it are rare but the results may vary from person to person. Always do a patch test or strand test to get an indication of how it may come out on your hair. Our Henna is 100% Henna with no additives to it. 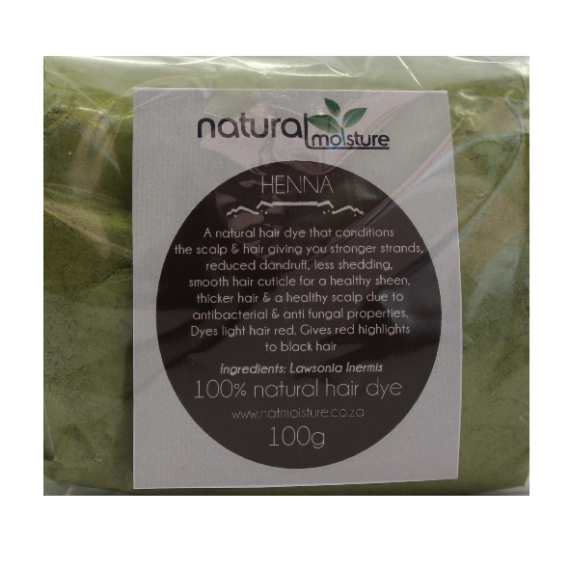 Henna may loosen the texture of coily hair with repeated applications. Henna can be mixed with Indigo or used before an Indigo treatment to dye hair black. Henna is a permanent hair dye so there is no way of removing the dye without damaging the hair. After using Henna to dye the hair, you can’t use any chemical based hair dye before 6 months without damaging the hair. However you use temporary hair dyes with minimum damage and it is always best to go darker than lighter for the sake of the health of the hair.